Heineken has acquired a controlling interest in five Nigerian breweries in a move that takes its share of the fast-growing market to over two-thirds. The Dutch brewer made the acquisitions by buying two offshore companies from the Sona Group for an undisclosed sum. Company spokesperson John Clarke told BeverageDaily.com that the deal was the culmination of a year long competitive bidding process. Clarke said the important point about the acquisition is that it gives the global brewer 3.7 million hectolitres of extra capacity in Nigeria. In a beer market that has grown at an annual growth rate of 9 per cent over the past 10 years, he said the additional capacity gives its companies, Nigerian Breweries and Consolidated Breweries, the room to grow further. 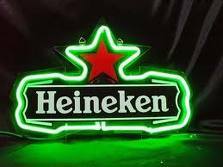 Heineken has already established a dominant position in the Nigerian beer market with an estimated share of 64 per cent. According to Heineken, the latest acquisition takes its market share up to around 68 per cent.